… a place you can nestle in a worn booth, drink coffee and mingle with the faithful Lions Club members. On many occasions during the holidays (growing up), my high school friends and I would meet there for a home-cooked breakfast and a little R & R. We’d sit down, reach for the menu (already on the table), and ask for bacon, eggs and coffee – a combination that many Oxonians haven’t seem to let go. 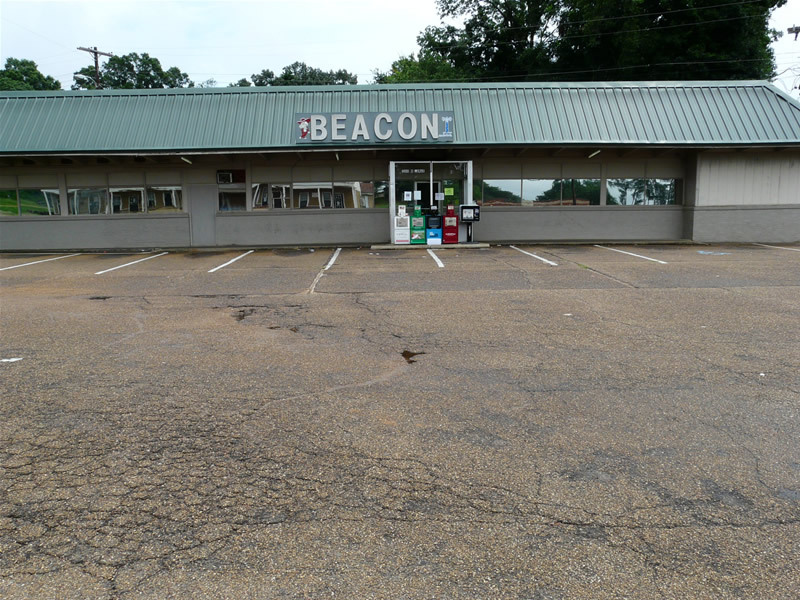 The Beacon was started by Flem Mize in 1960 and the restaurant has resided in the same spot ever since. The white letters spelling out the restaurants name can still be found on 1200 North Lamar. Although, now, you’ll find his son, Tony Mize, and his mother, Charlene, running the family business. After walking through the glass doors, you’ll usually see Ms. Charlene behind the counter waiting on pleased customers to pay their fair-priced bill. Tony is normally bussing tables or talking to those that frequent the well-known Beacon. 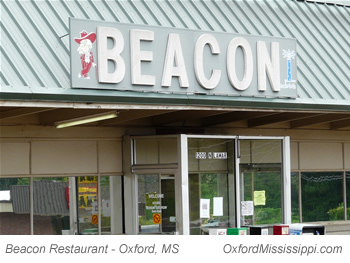 The Southern style food and hearty plate lunches are also a favorite of Ole Miss students along with the frequented locals. The Beacon is open seven days a week and on any one of those days, a hungry local will find the food is still tasty and the coffee is flowing. 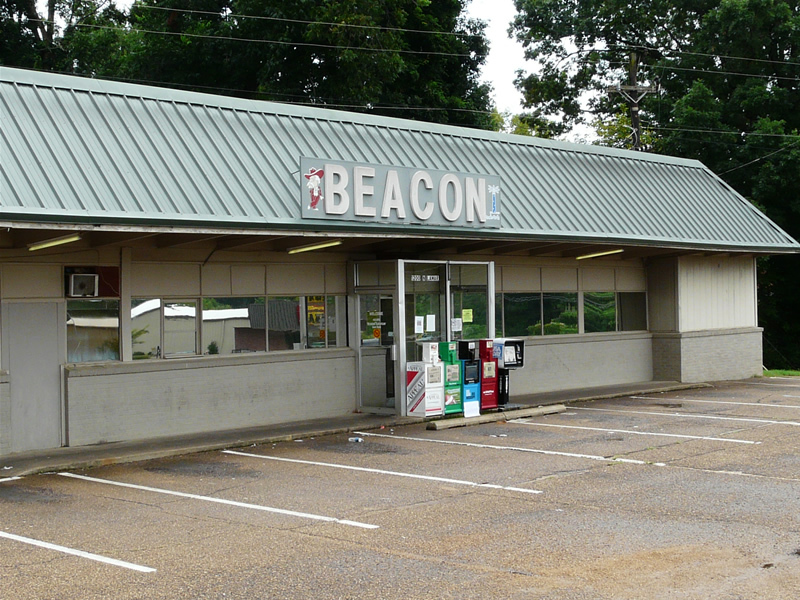 And I’ve even read, on a recent alternate review, the Beacon was awarded ‘Four Grease Stains’. And let me add, four grease stains was their highest rating, and therefore, in that taster’s palette, The Beacon was close to excellence. 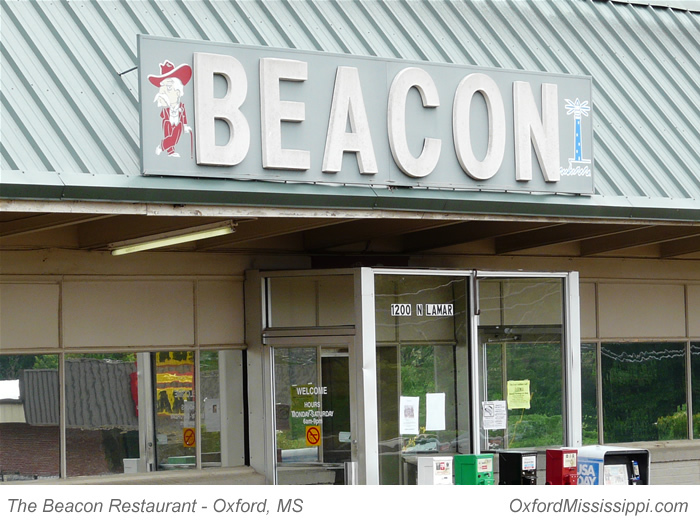 When I was a student at Ole Miss many years ago, the Beacon was fairly new, and was a popular place for me and my fellow students to eat and hang out. 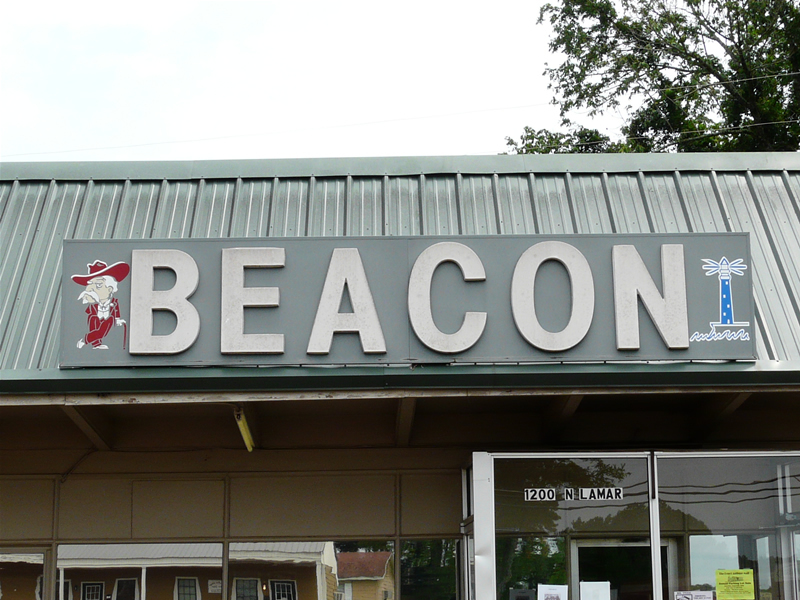 I’m glad to see the photo above on this post and to learn that the Beacon is still keeping on keeping on. I used to love their cheeseburgers. Your excellent site has given me many happy flashbacks to my student days at Ole Miss. Thanks for your comments on the Beacon. As the granddaughter to Flem and Charlene Mize, it is nice to read that their hard work and dedication is recognized in your article. our pleasure Paige.. thanks for visiting the site! 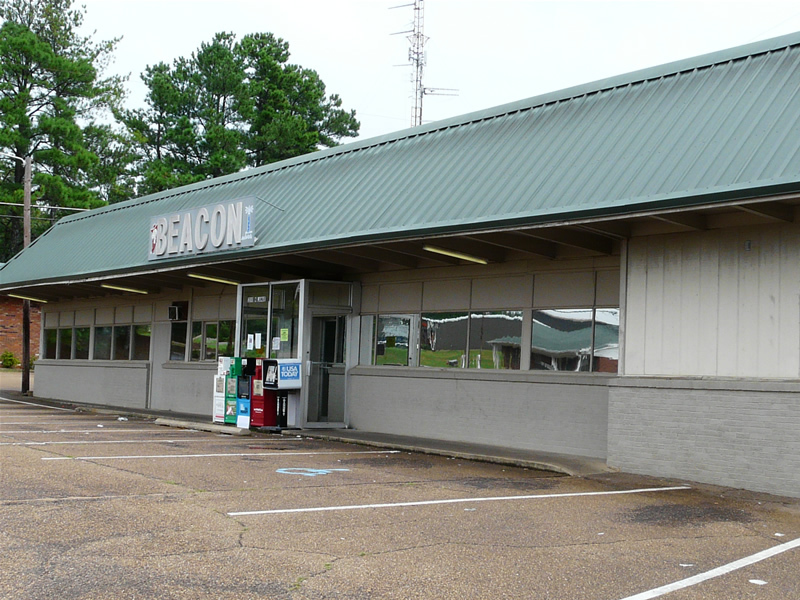 Many good memories of the Beacon during my “Ole Miss” days back in the early 70′s — like the Friday night frog leg special. They were great! The world has changed so much, but thanks be to God — the Beacon is still there! And thanks for this website and the photos.